Mark your calendars and start making your plans to visit us for ChristmasTime at the Ark! This year’s event will take place November 23, 2018, through December 30, 2018 (closed Christmas Eve and Christmas Day). Check out what you will experience when you join us for ChristmasTime! Hit the Glice® during the ChristmasTime at the Ark! Glice® is a synthetic ice that acts just like real ice, allowing you to skate regardless of the temperature. Our Glice® rink is the largest in North America! 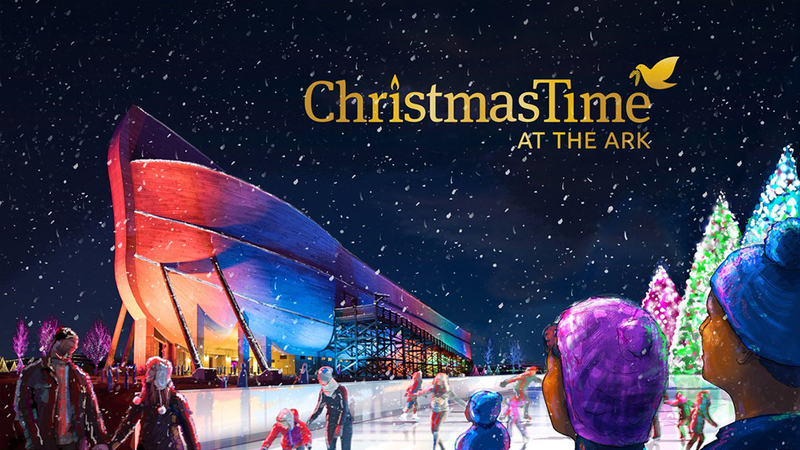 Can’t wait until ChristmasTime at the Ark to go skating with our life-size Noah’s ark in the background? Our Glice® rink is open now, so head to the Ark Encounter to check it out today! 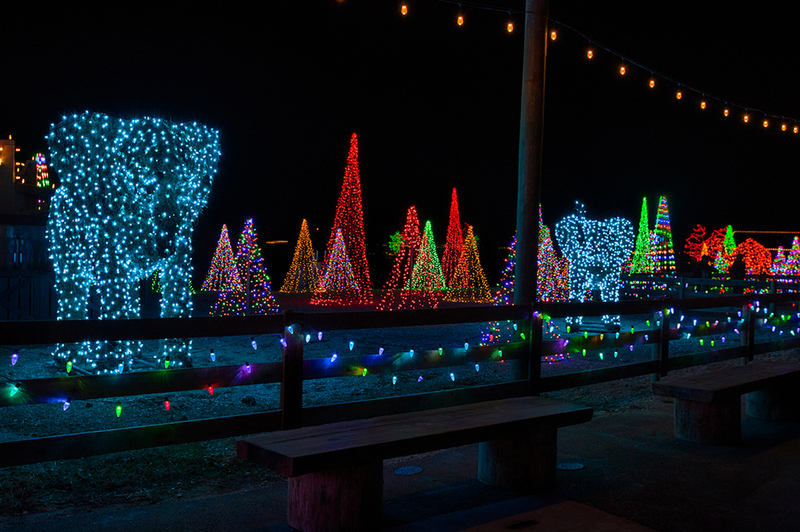 Our grounds crew has been busy turning the grounds into a wonderland of lights. Catch the ark lit up in an all-new, remarkable sea of rainbow lights, and then explore the colorful displays all around you. 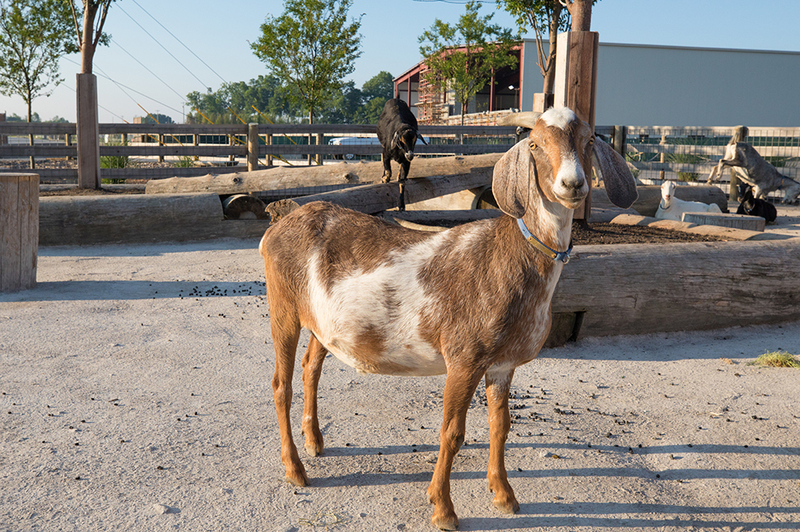 Visit with animals from around the world at the Ararat Ridge Zoo. Kids of all ages love the petting zoo area—and the chance to ride a camel or donkey will transport your imagination to the very first Christmas. Looking for that perfect, one-of-a-kind gift? 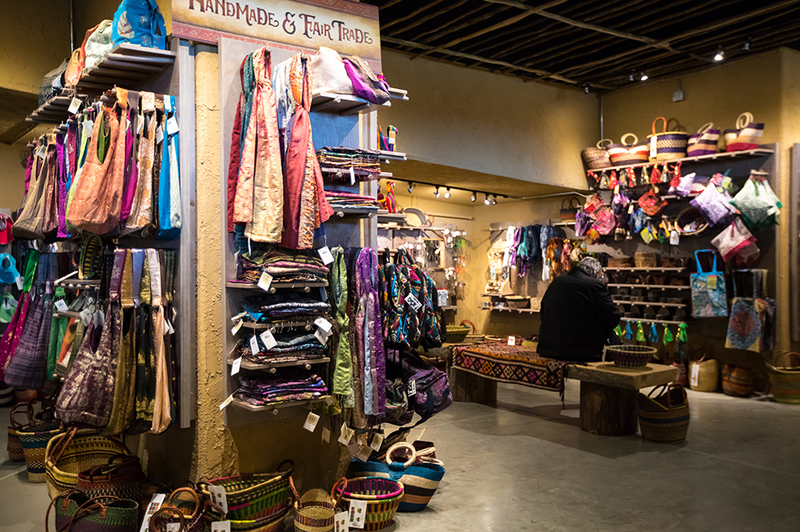 Stop by our extensive fair trade market inside the gift shop for fair trade, Amish, and handmade items from all over the world! 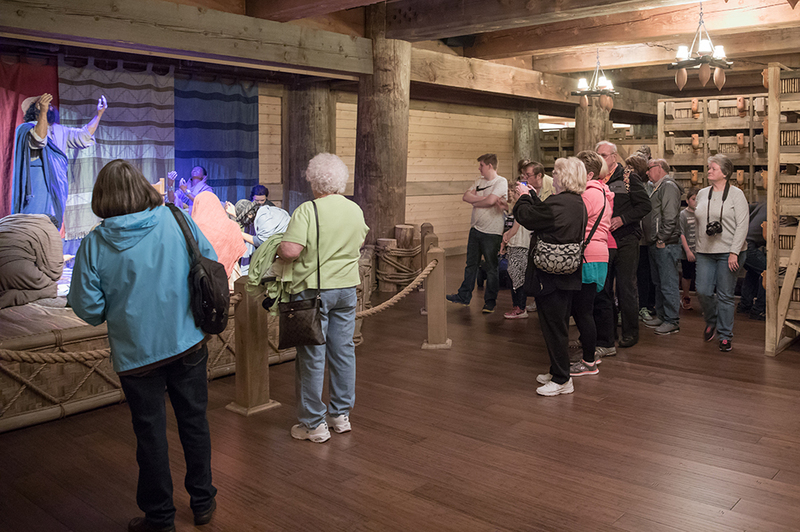 Purchase your admission tickets and head inside to explore the Ark Encounter! Scores of exhibits about the flood, Noah, and the animals are designed to answer your questions about the biblical account of Noah’s Ark. 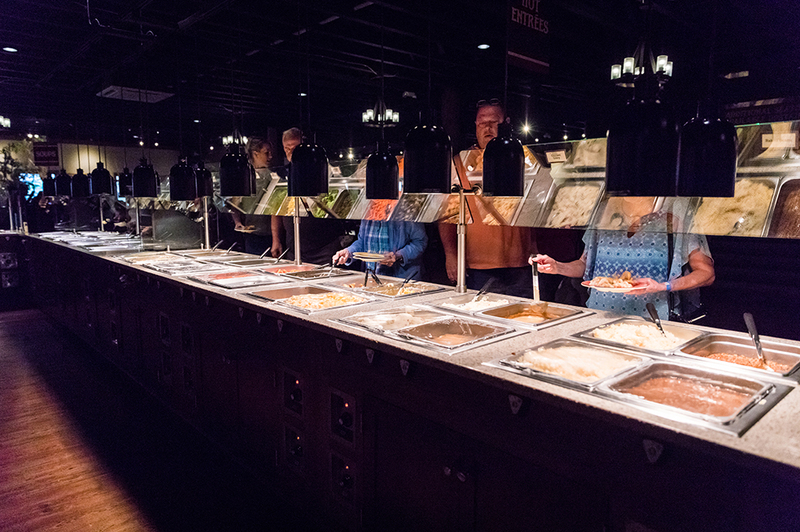 And you can enjoy a hearty Christmas buffet inside Emzara’s Buffet as you warm up from the winter chill. Continue celebrating this special time of the year with a trip to our sister attraction for ChristmasTown at the Museum! 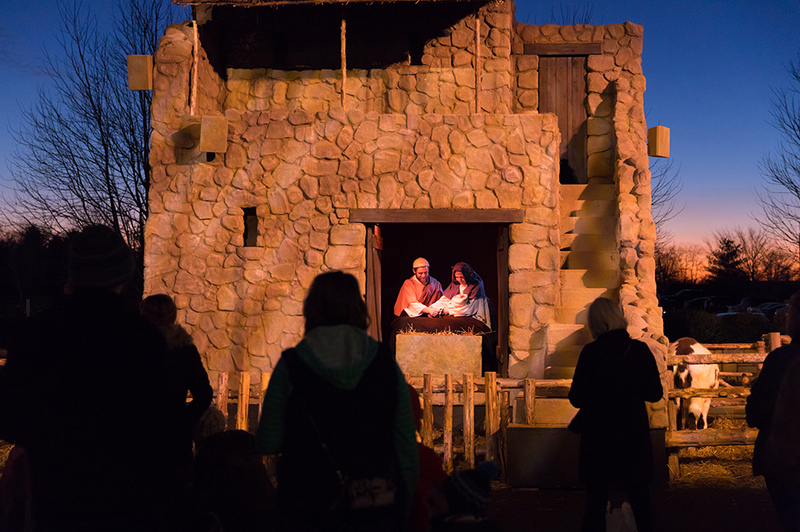 Catch a glimpse of the amazing events that surrounded our Savior’s birth with our live nativity. After that, stay toasty with a cup of hot chocolate as you walk through our botanical gardens immersed in breathtaking light displays.